I am very happy today to welcome to Ex Libris Shana Galen, who is here to celebrate the release of her latest historical romance novel, the third in her Sons of the Revolution series: The Rogue Pirate's Bride! I was lucky enough to read it and I can tell you it is a fantastic historical romance story! It has everything: adventure, a charming pirate, a feisty heroine and a wonderful romance! So please give a warm welcome to Shana and you cuold win your own copy of The Rogue Pirate's Bride! First of all, I want to thank Stella for having me. This is my first time visiting the blog, and I’m very excited. Authors are always talking about their books, and I’m no exception, but today I also want to talk a little bit about my family. I have a younger sister who has a real passion for refugees. When she was first out of college, she worked with the Peace Corp, teaching English in Ethiopa. When she came home, she worked for several non-profit organizations to provide funding to resettle refugees from all over the world to Houston, Texas. At the moment, she’s working in Uganda with the United Nations. She’s hoping to help Congolese refugees living in camps in Uganda resettle in other countries. I mention my sister because she recently became engaged to an Ethiopian man she met a couple of years ago. I’d never met him, but I was excited for her. She’s been looking for the right guy for years now, and she seems genuinely happy. I Skype with her about once a week, and the last time we chatted I asked about the marriage proposal. She told me it wasn’t romantic in the way Americans would think, but the more she told me about it, the more I had to disagree. It seemed that even though the customs were different, the romance was still there. I often wonder how well the romance novels I’ve written translate in other cultures. I’ve sold rights to books all over the world—Turkey, Indonesia, Europe, Brazil, to name a few. Is the romance reader in Turkey having the same experience as the reader in Brazil as the reader in Chicago? The more I hear from fans all over the world, the more I’d have to say the answer is yes. So I started to think about what makes romance so universal, and what, in particular, makes romance novels popular worldwide. Romance readers everywhere want a hero who is strong and capable. Women, no matter their nationality, long for security and protection. This isn’t to say they want to be bossed around. No. Women also want a heroine who isn’t afraid to speak her mind or take on a challenge. In my new book, The Rogue Pirate’s Bride, Raeven is just such a heroine. She’s the daughter of an admiral and can wield a sword, a pistol, and fire a cannon as well as any man. She was fun to write because she didn’t back down from a challenge, especially not one the hero presented her. Everyone falls in love. As I listened to my sister talk about her wedding plans and the customs in Ethiopia, I could see how excited and happy she was. It doesn’t matter if the traditions are different. The feelings are the same. There’s something so wonderful about picking up a love story and living those emotions again with the characters. I know when Raeven fell in love with Bastien in The Rogue Pirate’s Bride, I fell in love with him too. Not every real-life love story has a happy ending. And with all the problems in the world today, not every day is a happy one. Romance novels are an escape from the bad news in the world around them. They provide an hour or two of fantasy that makes it easier for us to deal with higher prices, crying children, or a broken down car. I know I read romance to get away from real life for just a little while. Do you think romance novels have a universal appeal? I’ll be checking in all day to read your comments. I’m also pleased to offer a copy of The Rogue Pirate’s Bride to one reader who comments. Open internationally, of course! Shana Galen is the author of numerous fast-paced adventurous Regency historical romances, including the Rita-nominated Blackthorne’s Bride. 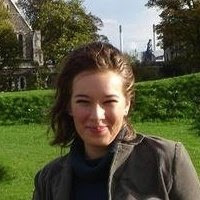 Her books have been sold worldwide, including Japan, Brazil, Russia, Spain, Turkey, and the Netherlands, and have been featured in the Rhapsody and Doubleday Book Clubs. A former English teacher in Houston’s inner city, Shana now writes full time. She’s a wife, a mother, and an expert multi-tasker. She loves to hear from readers: visit her website or blog, and see what she’s up to daily on Facebook and Twitter. 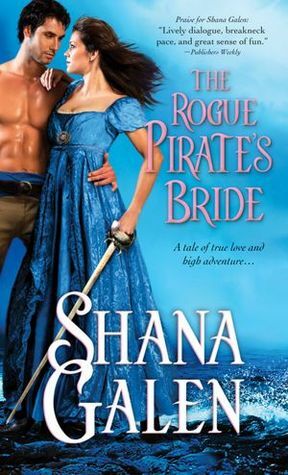 Shana has generously offered a copy of The Rogue Pirate’s Bride to a lucky commenter! 1) leave a comment and answer Shana's question: Do you think romance novels have a universal appeal? Giveaway ends on 15 March 2012 and is open worldwide!